Creating your own unique recipes for color mixes… using your imagination as you blend new tones and shades together. It is so fun. And its not difficult. You don’t have to be a ‘paint manufacturer’ to do it either. You just need a few ingredients and of course the appropriate dust mask. Its a wonderfully satisfying feeling when you’ve created your very own unique color blends. In brief, with watercolor you need the ground pigment plus water and some gum arabic for mixing. With egg tempera, you need the pigment plus water and some egg yolk. With oil paints, you need the pigment plus the appropriate oil, for the binder. With acrylics, you need the pigment plus an acrylic binder… I have success with gloss or matte medium. If you are really enthused with this aspect of art, I’d recommend more research. Google the subject as well as go to the library for some art books that specialise in making paints. 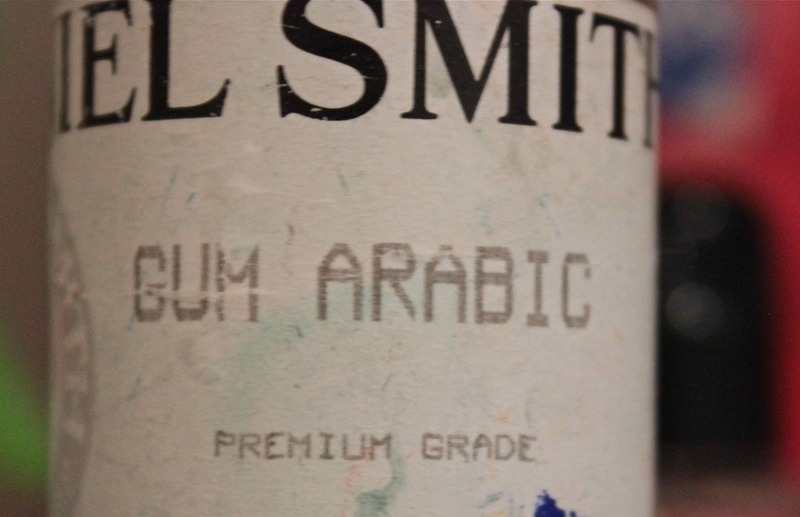 My information is an extremely abbreviated version. There is so much more to learn! “Ralph Mayer’s Artist Handbook” would be a great starter. Green Earth, (Terre Verte) and Burnt Umber and Prussian Blue meld seamlessly for a serene and zen – like palette. Green Earth also known as Terre Verte Pg23. Its a lovely soft, delicate mossy green that blends beautifully into the landscape. This green doesn’t provide a full deep dark, but it makes up for that with its sensitive light and airy tones. It blends with blues especially Prussian, really well. And when added to a dash of Light Red, can create some wonderful grey-greens. Terre Verte is a pigment I’m don’t mind using at all, due to its lesser amounts of toxicity levels. It is a transparent paint but it does granulate a bit. Prussian Blue Pb27 is a Staining paint with deep velvety near black blues at full tonal mass, but can be lightened to a pale delicate tint quite easily with a lot of water. Its one of my favorite workhorses. Prussian blue is amazing in its versatility. Used as a monochrome, in a duochrome set, or in a triad set…. Prussian blue is fabulous. And exels when you are creating trees, shrubbery, and foliage. Vincent Van Gogh used the intense dark Prussian blue for his famous oil painting Starry Night. Prussian does have a moderate level of toxicity. Prussian Pb27 has so many names – Antwerp blue, Berlin blue, Midnight blue are just a few. Its easy to get confused. And thus, its easy to end up with several tubes… of Pb27! ie Prussian Blue. Burnt Umber PBr7 is a rich dark powerful chocolate brown providing granulating effects in watercolors when used wet in wet or with sufficient water. This Burnt Umber Brown is a cool brown unlike Burnt Sienna – which is a much warmer, near terracotta brown. In case any of you are wondering about the difference between burnt umber and burnt sienna? They both should be PBr7 pigment for the cleanest most versatile mixes and washes. But one should be warm and slightly biased to hinting at a dull orange color…. Burnt Sienna. The other should be a cool, darker, chocolate like brown… Burnt Umber. Burnt Umber carries a moderate amount of toxicity as it has manganese in it. Burnt Umber mixed with Prussian creates a soft and pretty, muted grey-green that will recede back into the distance beautifully. Mixed with Terre Verte, sparingly, can create a delicate olive/brown green. 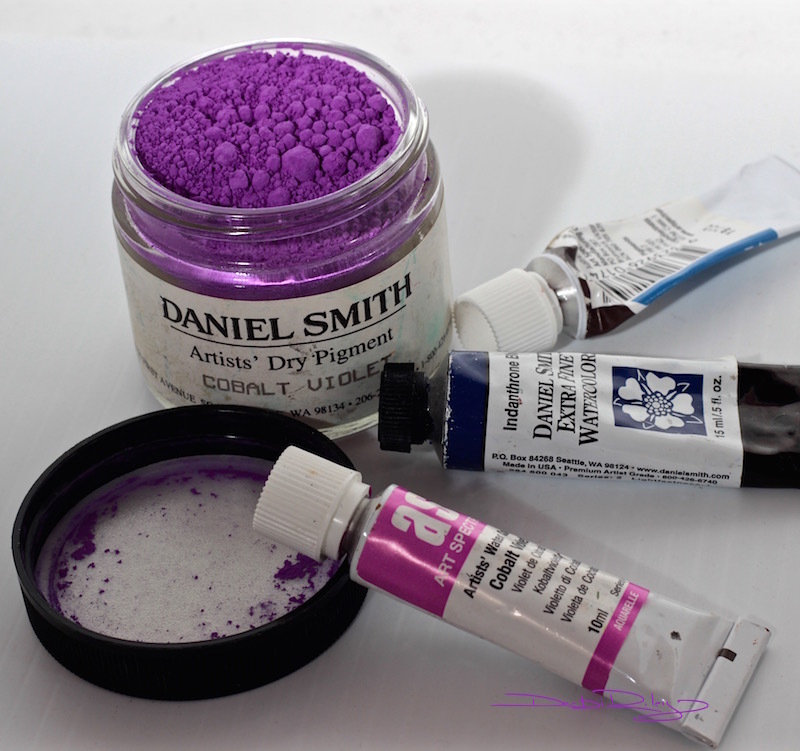 I selected these 3 pigments to make my paints as these were the least toxic pigments I have on hand. The 3 also are a very nice triad color scheme, they blend well together and complement each other as well. All are cool versions and combined, provide a Cool dominance. Perfect for a “zen” theme filled with neutrals, serenity and calm. Another fantastic triad to try with burnt umber I might suggest…. cobalt violet pv14 and indanthrone blue pb60 for a lovely cool color palette. The process I used next – was to lay out 1/2 tsp of pigment onto a dampened plate. Close the pigment jar lid. …accidents have been known to occur. The clean up was a chore. I chose Gum Arabic and Watercolors for the simple reason its less toxic than oils or acrylic binders. The pigments also work quite well with egg yolks and don’t seem to bother me with chemical sensitivities. Add 2-3 drops of Gum Arabic to the pigment. Add 5-6 brush loads of distilled water. Mix with palette knife until the paste is fine and smooth. Keep the spray mister away from this process. The pigment particles are microscopic and a spray mister will just blast them around into the air. After the 3 pigments are mixed and ready, have a play and see what you can create. 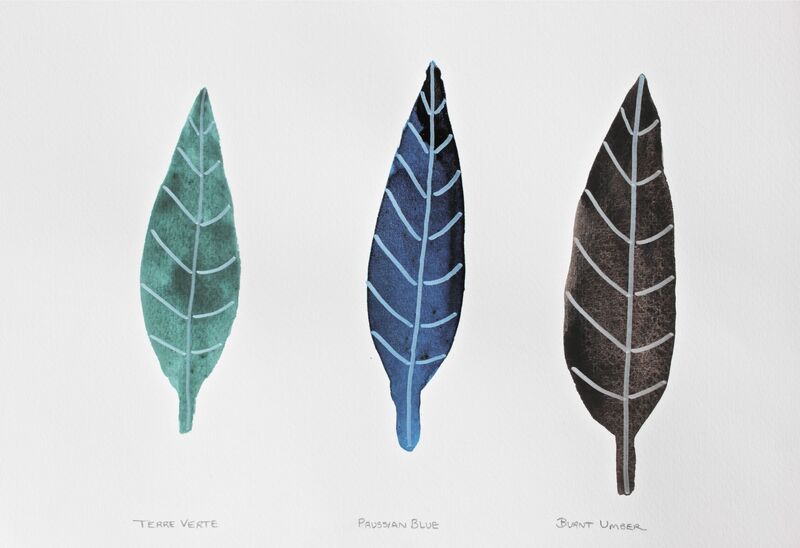 These 3 colors are ideal for foliage, leaves, trees, nature, rocks, feathers.etc. Landscapes and the natural environment. Just have a bit of fun with them! Prussian Blue with lunar black! What to paint? Looking for ideas? for Inspiration?